Timothy O’Donnell is one of the world’s most successful and experienced American long-course triathletes. As a professional, he has earned 50+ podium finishes including over 22 wins at major events throughout the world. Along with the ITU Long Distance World Champion (2009) title, his other wins include nine Ironman 70.3 victories, two IRONMAN wins, and six Armed Forces National Championships. At the IRONMAN World Championship in Kona, Hawaii, Timothy has finished 3rd (2015), 5th (2013), 6th (2016), 8th (2012) and earned the top American spot in 2013 & 2015. In 2013, he tied the existing American IRONMAN record with an 8:01:32 victory at IRONMAN Brazil. In 2015 at IRONMAN Brazil, he completed his fastest IRONMAN to date at 7:55:56. He was the IRONMAN 70.3 US Pro Champion in 2012 and the IRONMAN US Pro Champion in 2011. I was introduced to the Technogym equipment a few years ago and was completely blown away by the efficiency of the Technogym product. It is great to work with a company that I share similar fitness values with. Technogym is always looking to improve one’s lifestyle by providing smart connected fitness equipment and solutions, services, content and programs. Time is precious when balancing the life of a new dad with the training required of a professional athlete. With my new home gym/pain cave from Technogym I maximize the time in my day without compromising the quality of my workouts. MYCYCLING is my secret weapon, giving me the data and connectivity I need to effectively target my workout goals without losing the natural feel of the road. 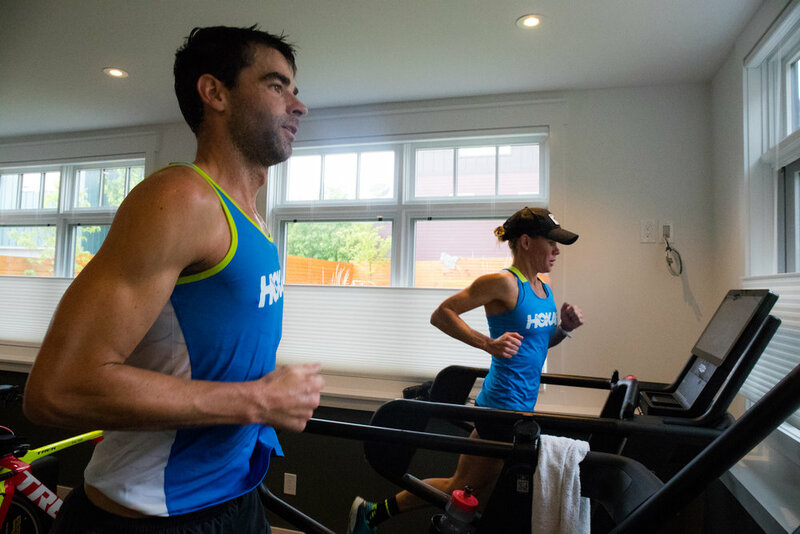 Running off the bike is easy with my SKILLMILL treadmill ready for me to immediately drive my effort when it counts. These tools paired with the innovation of my SKILLRUN’s MULTIDRIVE TECHNOLOGY™ (providing a single solution for both cardio and power training) gives my home gym all the weapons I need to train hard, train effectively and of course race for the win!